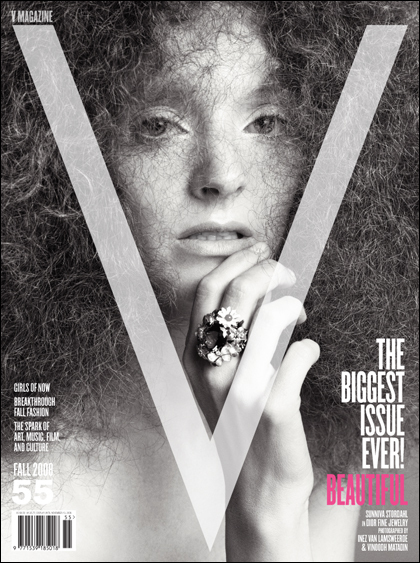 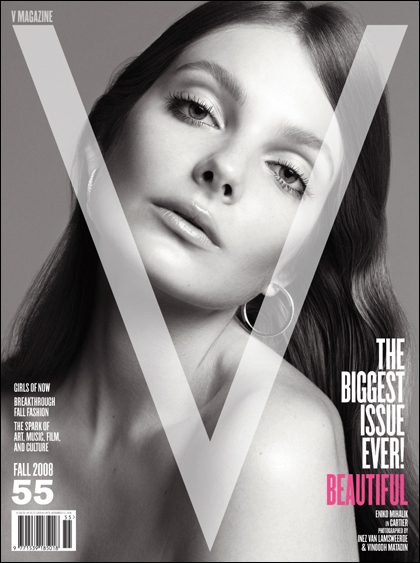 V Magazine is eligible for the most numerous covers ever. 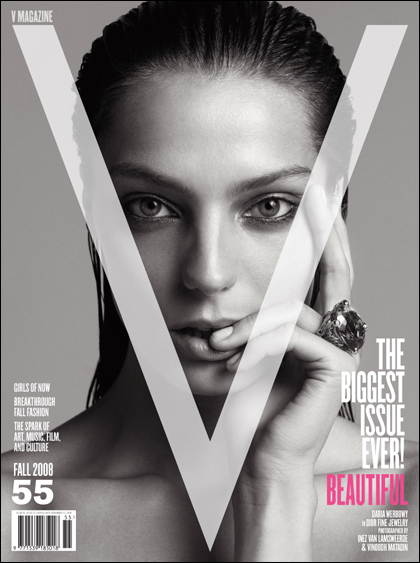 Fourteen girls grace the cover of this V 55 Fall 2008 issue. 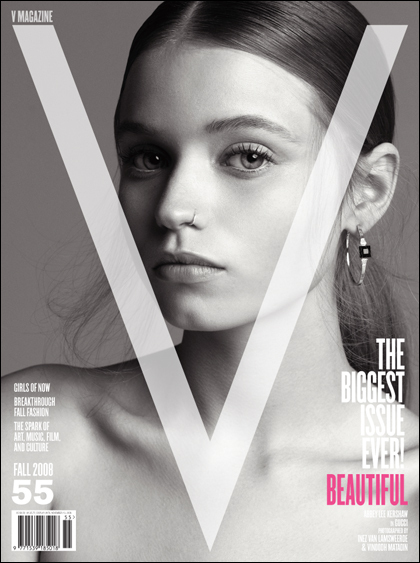 Especially the one with my all time fav model Christy T!I also like the Eva Herzagova and Aggy covers.Sunniva’s cover looks kinda Biba-like.Your’e right about the hair thing kpriss.I don’t get it either and the idea of putting out 14 covers seems audacious but thats V I guess. 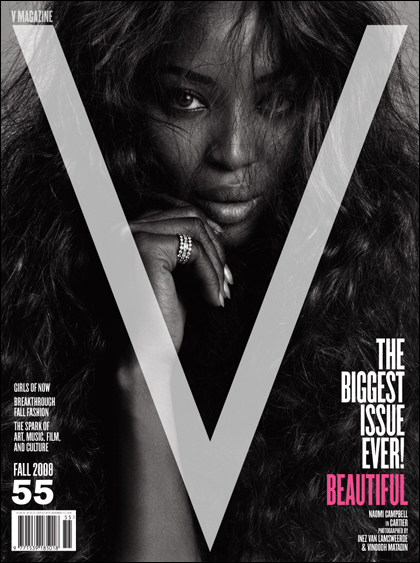 Its an interesting concept doing 14 covers and using 14 different models but what bugs me is that they only used one model of colour, Naomi. 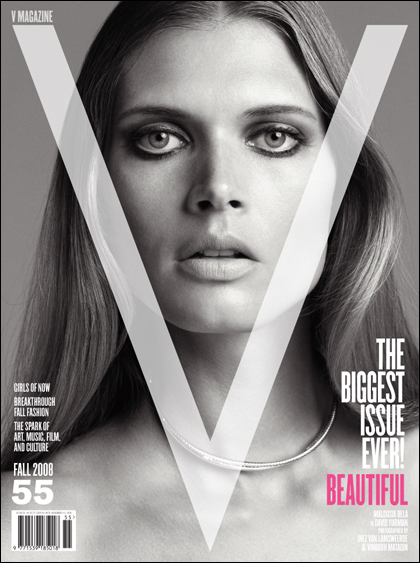 That really saddens me especially in this day and age.